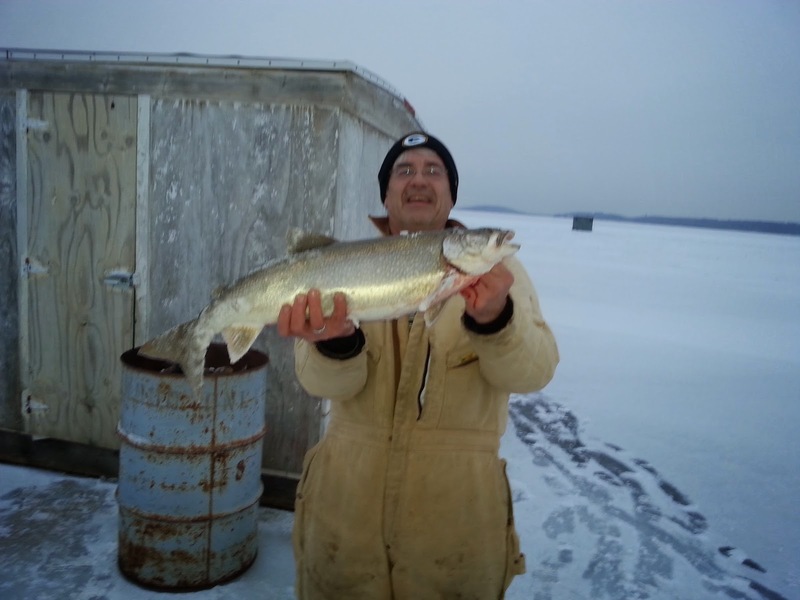 We are still catching lake trout even though bite has slowed down some. Enjoy photos of some beautiful fish caught this week. 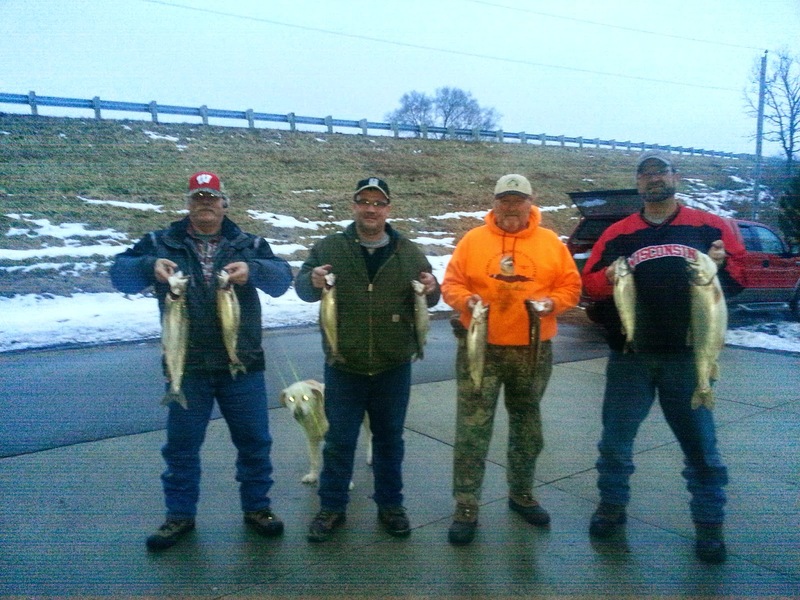 The start of 2015 ice fishing gets going with a lot of fun. 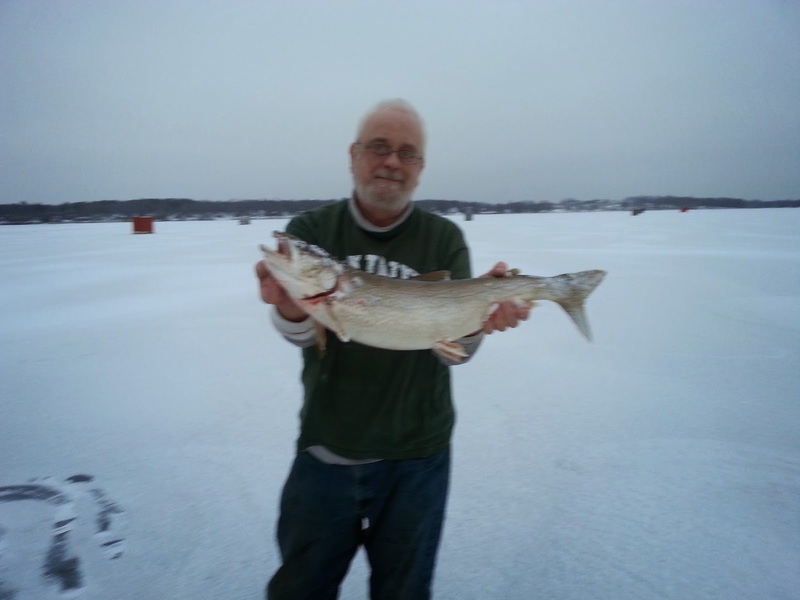 We have limit catches of 2 lake trout per person. Here are some of the happy groups with lots of fish. 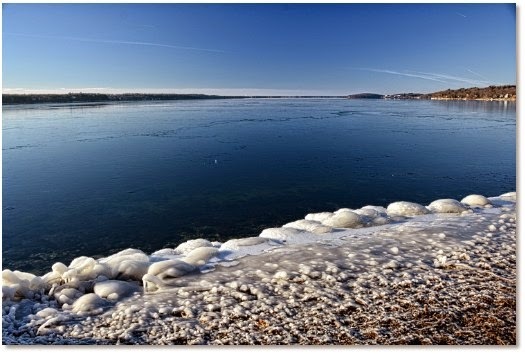 As of today the east one third of Big Green Lake has frozen over. We are just a few short days of getting out on the ice. We will start taking people out fishing on Jan. 17th. Depending on how the ice develops, we may even start earlier on short notice. Feel free to give us a call 920 295 3617 for more info. 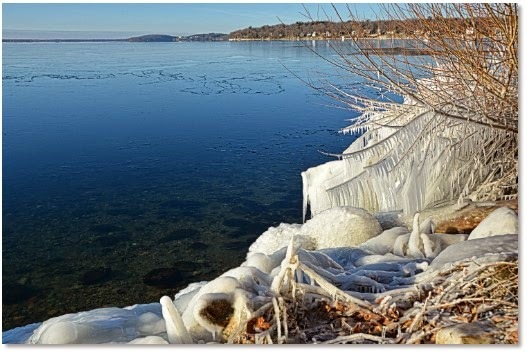 There is ice in the bays on Big Green Lake. We are still waiting for the lake to freeze over deeper water. It is very close to freezing and as soon as it does we will be ready to go fishing. We will post ice conditions as they develop. 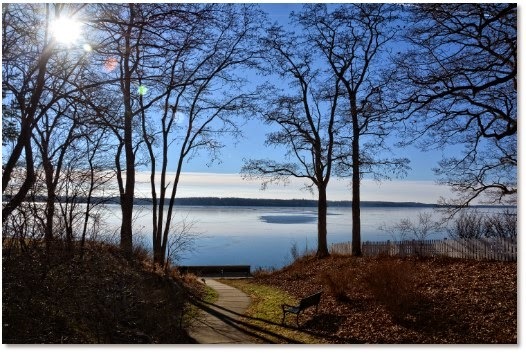 Here are some photos of our beautiful lake taken by Tom Eddy just a few days ago.